Under Jacqueline’s leadership, Acumen has approved investments of more than $88 million in 82 companies in Africa, Latin America and South Asia, all focused on delivering affordable agricultural inputs, education, energy, health care, housing and water to the poor. These companies have created and supported 60,000 jobs, leveraged an additional $500 million, and brought basic services to more than 125 million people. In December 2011, Acumen and Jacqueline were on the cover of Forbes magazine as part of its feature on social innovation. Prior to Acumen, Jacqueline founded and directed The Philanthropy Workshop and The Next Generation Leadership programs at the Rockefeller Foundation. She also co-founded Duterimbere, a micro-finance institution in Rwanda. She began her career in international banking with Chase Manhattan Bank. Jacqueline currently sits on the advisory boards of Sonen Capital, the Harvard Business School Social Enterprise Initiative, and the Stanford Institute for Innovation in Developing Economies (SEED). She also serves on the Aspen Institute Board of Trustees and the board of IDEO.org, and is a member of the Council on Foreign Relations and the World Economic Forum Global Agenda Council on Sustainable Development. Jacqueline has been featured in Foreign Policy’s list of Top 100 Global Thinkers and The Daily Beast’s 25 Smartest People of the Decade. 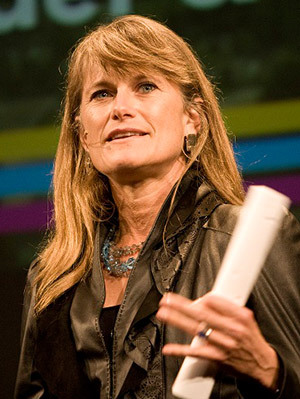 She is a frequent speaker at forums including the Clinton Global Initiative, TED, and the Aspen Ideas Festival. Her best-selling memoir The Blue Sweater: Bridging the Gap Between Rich and Poor in an Interconnected World chronicles her quest to understand poverty and challenges readers to grant dignity to the poor and to rethink their engagement with the world. She holds an MBA from Stanford and a BA in Economics/International Relations from the University of Virginia. She has received honorary degrees from the University of Notre Dame, Wofford College, Gettysburg College, Middlebury College, Fordham University, and Bard College as well the Freedom from Want Award from the Roosevelt Institute in 2011. For more information on Acumen, please visit www.acumen.org. Ana Oliveira is President and CEO of The New York Women’s Foundation, the third largest women’s fund in the world, with an annual giving of $6 million today, and a total distribution of over $51 million in 27 years. The Foundation is based in New York City and partners with women-led grantee organizations throughout the five boroughs that promote economic security for women and girls, their right to live safely and without violence, and their health, sexual and reproductive rights. For over 25 years, Ana has been a leader in the nonprofit and philanthropic sector. Since joining The New York Women’s Foundation in 2006, Ana has cultivated critical partnerships influencing policy changes in equal pay and financial investments focusing on highlighting and addressing areas of social and economic inequity for women and families. Prior to joining The New York Women’s Foundation, as Executive Director of the Gay Men’s Health Crisis, Ana stewarded an organizational turn-around that launched GHMC as a leader in its field. Before her role at GHMC, Ana directed innovative community-based programs at Samaritan Village and the Osborne Association, addressing the needs of substance users, persons living with AIDS, and ex-offenders. 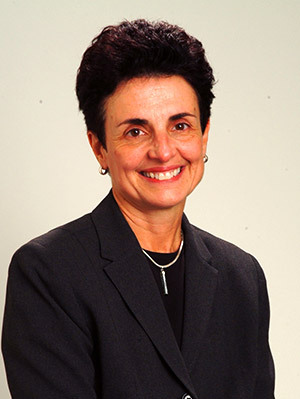 She developed the first acupuncture detoxification clinic for methadone and alcohol-involved patients in her capacity as Substance Abuse Specialist at Kings County Addictive Diseases Hospital, carrying the practice over to the Lincoln Medical and Mental Health Center as a Clinical Supervisor. Ana serves on the boards of Philanthropy New York and the Women’s Funding Network, and the advisory boards of the Museum of the City of New York and the Independent Budget Office, in the latter as designee to Comptroller Stringer. In the past, Ana has served as a member of the New York City HIV Planning Council and the New York City Commission on AIDS. She has chaired the NYC Commission for LGBTQ Runaway and Homeless Youth and co-chaired Mayor Bloomberg’s Young Men’s Initiative. She has been appointed a Commissioner of Human Rights by Mayor DeBlasio. Ana’s honors include the Mutual Welfare League Certificate, (Osborne Association); Liberty Award, (Lambda Legal and Education Defense Fund); the Rosie Perez Fuerza Award (Latino Commission on AIDS); the NYCLU Liberty Award, and the June Jordan Claim Award (Brotherhood SisterSol). Ana attained her M.A. in Medical Anthropology and a PhD. (hon) from the New School for Social Research. She was born in Sao Paulo, Brazil, and resides in Manhattan.